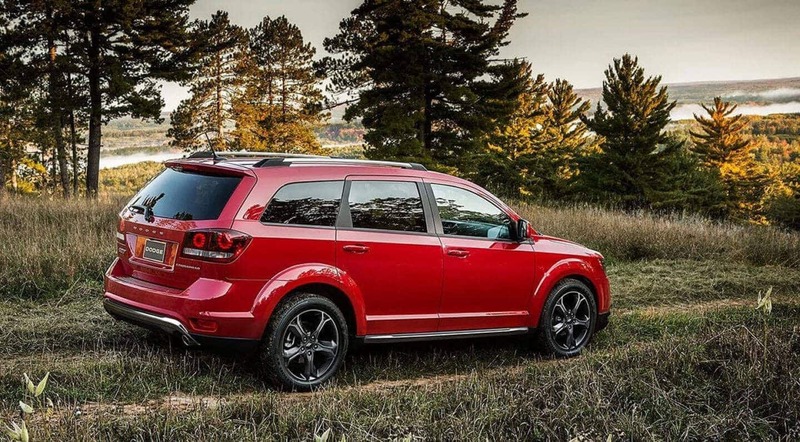 Say hello to a 3-row mid-size crossover with standard seating for seven and sculpted fender flares showcasing an unmistakable ready stance: the 2019 Dodge Journey. 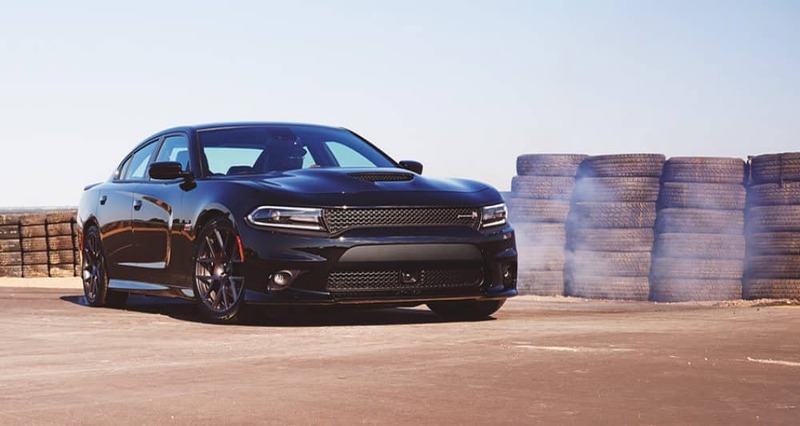 The SXT model from last year has been re-distributed into 3 solid model choices, including a powerful GT model. All-Wheel drive becomes possible on any trim, there are 2 engine choices, and a lot of tech to make your drive and your passenger's trip both comfortable and appealing. Move over lame colors, this vehicle offers ones straight from Dodge's fiery exterior color roster, like Destroyer Gray and White Knuckle! With a horsepower-focused brand backing it, cargo space for days, and a solid tradition of keeping riders happy, the 2019 Journey is here to go the distance for you. Let's get into the details here for a moment, and you will become not only more informed about this strong performer, but also potentially inspired by its excellent array of offerings! How much power can the 2019 Journey deliver? Know that there are three distinctive suspensions choices (depending on model & driving format) for the 2019 Journey: Independent, Touring, and High-Performance. The Journey has a 2.4-liter four-cylinder that makes 173-hp and 166 lb-ft of torque, and can capture up to 25-mpg highway (and 4-speed auto transmission), positioned on both the front-wheel drive SE and Crossroad models. The other option is the 3.6L Pentastar V6 that strikes up 283-hp and 260 lb-ft of torque and is standard on the 4x2 GT model (elective on other 4x2 models). In the AWD format, there is the 3.6-liter Pentastar V6 coupled to a standard 6-speed Autostick transmission. Also of note is that Trailer Sway Control is standard on this crossover, and when properly outfitted, the Journey has a towing capacity of up to 2,500-pounds. What are some features and functions of the Journey in 2019? 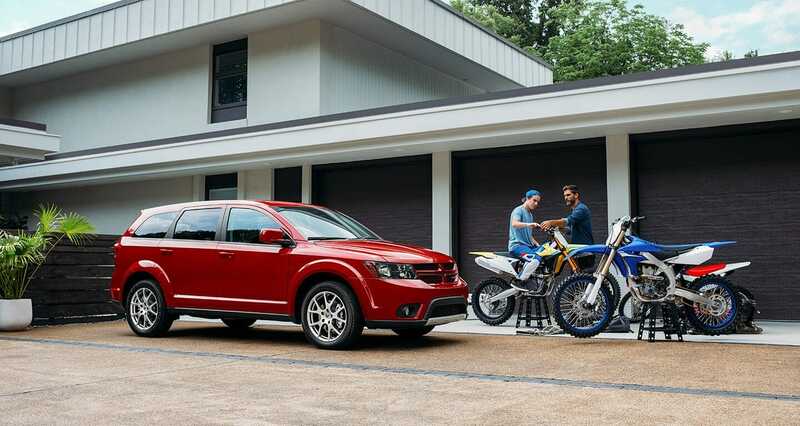 There are 3 powerfully-featured models of the Dodge Journey in 2019, any of which can be made in either 4x2 or All-Wheel Drive: the SE, the Crossroad, and the GT. A few words on the GT model, specifically: It has the 3.6-liter V6 Pentastar engine with the 6-speed auto transmission and the High-Performance suspension. Then it piles on with cool accommodations such as a Black & Red cabin color option, perforated panels on the leather-wrapped chairs, a made-by-Mopar cargo tray election, and a heated steering wheel. 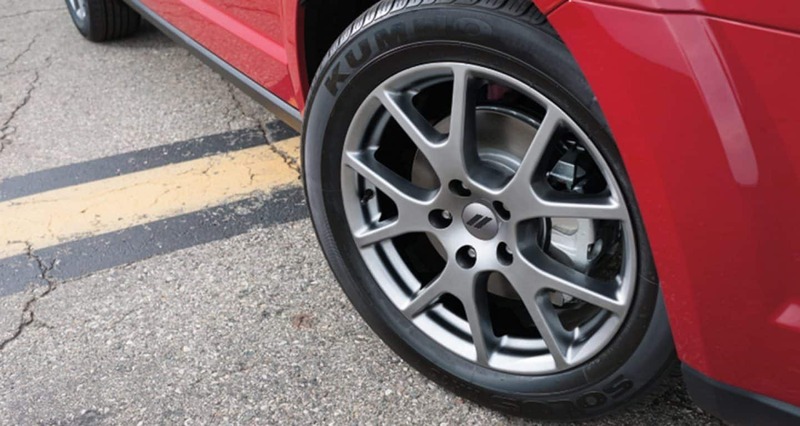 The GT model rides high on 19- x 7.0-inch coated aluminum wheels with BSW All Season Touring tires, and can acquire those same wheels in a sleek Gloss Black color too. 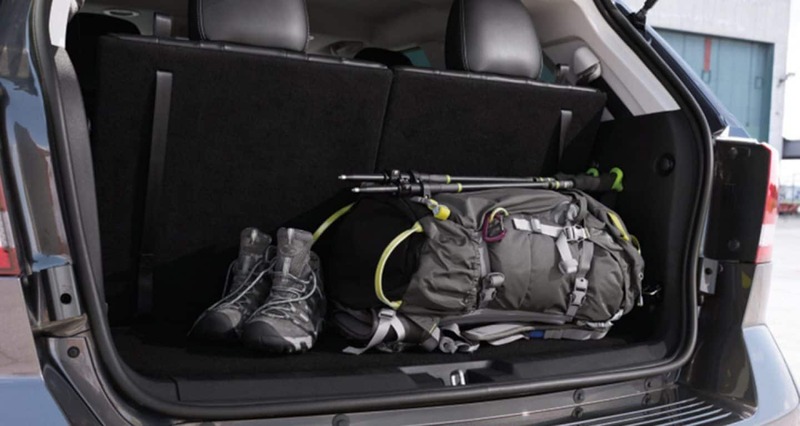 The 2019 Journey, any model, generally have great features, like standard third-row seats, a viable 6-way power driver seat with 4-way power lumbar adjustment, a sub-floor cooler for passenger drinks, a push-button start, cargo space with an in-floor storehouse, and up to 67.6 cu-ft of space possible. It also can charter child booster seats within the second-row that meld back into the regular seats easily, an accessible heated steering wheel, an opportunity for heated front seats, and more! Otherwise note that you can install the standard Uconnect 4.3-inch touchscreen, which also extends usefulness with elements such as an MP3 player, gettable Voice Command & Hands-Free Calling, Bluetooth & an AM/FM radio, as well as a USB port. Moreover, a Premium Sound Group can be put into the Crossroad model with its 368-watt amp, 6-speakers, and a subwoofer (all by Infinity)! The optional Uconnect 3 NAV Garmin system performs well using its 8.4" touchscreen, with 5-year agreements for both SiriusXM Travel Link and SiriusXM Traffic! On 2019 Journey models, look for an available 3-zone auto-temp control, otherwise one finds a standard 2-zone manual temp control which is also excellent. 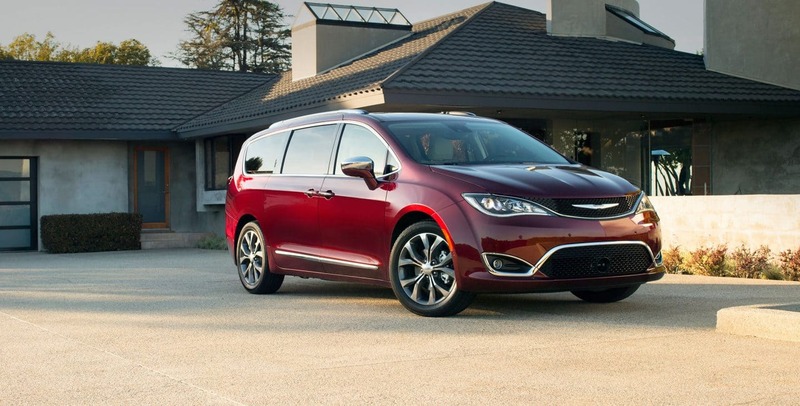 Whether in All-Wheel drive or Front-Wheel drive, the 2019 Journey is certainly a force to be reckoned with! 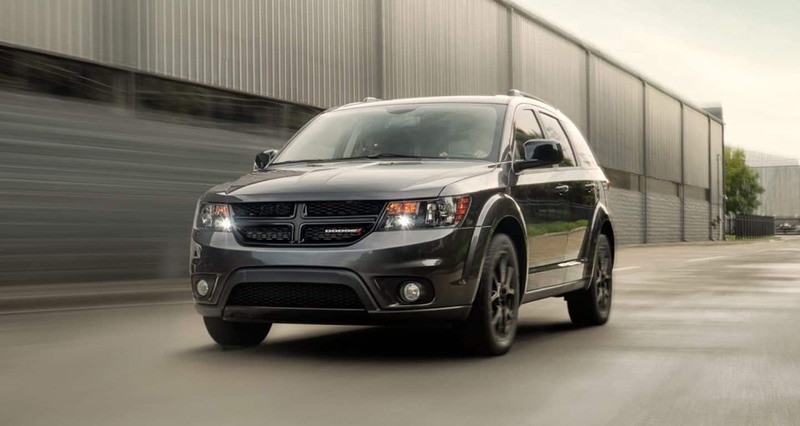 Would you mind outlining the safety and security features of the Dodge Journey? This vehicle has advanced multistage front airbags, a driver's knee bolster airbag, front seat-mounted side airbags, and side-curtain airbags! It easily possesses over 40 possible safety/security highlights, containing tried-and-true ones like a reinforced frame that applies dual-phase steel and further front/rear crumple zones that work to assimilate forces and redirect energy. Contemporary safety characteristics such as Speed Control, obtainable Keyless Enter 'n Go, a standard ParkView Rear Back-Up Camera, a possible ParkSense Rear Park Assist System option, a 4-channel ABS for the brakes, a tire pressure monitoring system, Electronic Roll Mitigation, and a standard Sentry Key Theft Deterrent System with an engine immobilizer. The GT model reassures security with a standard protection system for doors, liftgate, and the ignition. The GT model also brings in Trailer Sway Control, four-wheel disc anti-lock brakes, Brake Assist, and the LATCH Child-Seat Anchor system. Whoa! 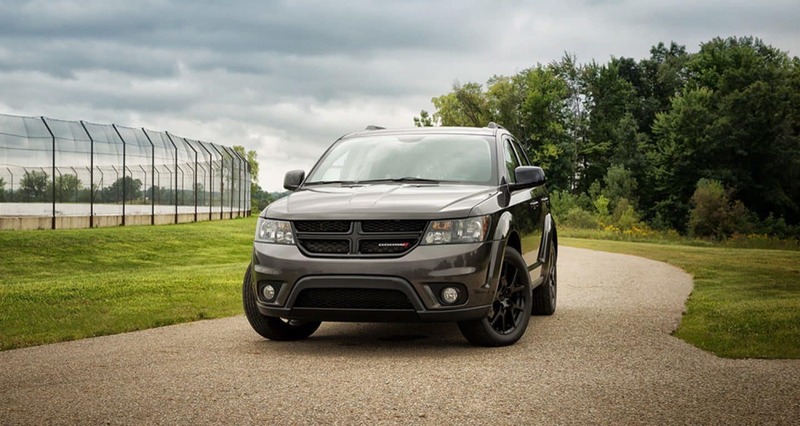 The Dodge Journey SE and GT models can install the optional "Blacktop Package", which introduces a Gloss Black grille, a Black lower front fascia, Gloss Black exterior mirrors, and Black headlamp bezels. Also, the 19-inch Gloss Black aluminum wheels are standard on the GT model within this Package, but optional on the SE model, and it's the same rules for the Black roof side rails. On top of that Package, there is also the "All Weather Group by Mopar" to consider, with both a cargo tray & door sill guards made by Mopar. There are actually quite a few Groups to explore, but look into the "Nav & Sun Group" with its Garmin 3-D Navigation, the ParkSense Rear Park-Assist System, and a Power Express Sunroof! Another to look into would be the "Popular Equipment Group" with its heated front seats & steering wheel, Universal Garage-Door Opener, a Remote Start system, and a Security Alarm! 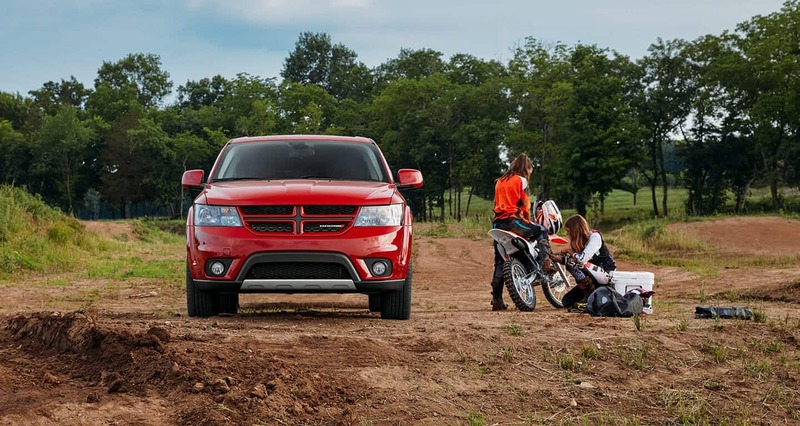 These Groups and Packages certainly bring a lot to bear for the 2019 Dodge Journey, why not stop on in here at Grogan's Towne Chrysler Jeep Dodge Ram at your next best moment and see what they have to offer you?